Mecca and Medina in a week. It’s unimaginable that in such a rugged, imposing and gregarious environment there could be anything living. Mecca has this very in-your-face-personality. A relentless sun bears over mountains, dust and sand. Barren is a generous word. But there are birds. Always. 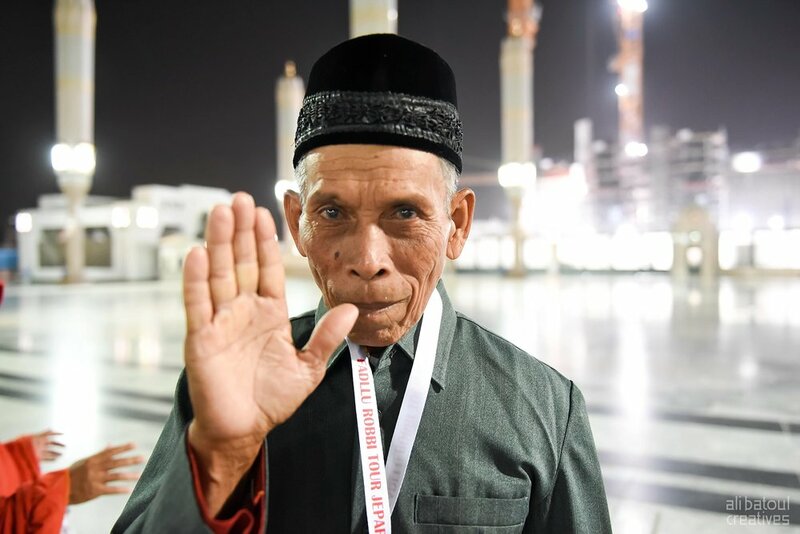 They flutter over the Ka’aba endlessly throughout the day and the night. Perched sometimes on its edges, they stand forth and move about. Small, insignificant amongst the throngs of worshippers and pilgrims whose faces are weary and anxious, desperate to catch a glimpse of the Ka’aba and to embrace it’s black façade. 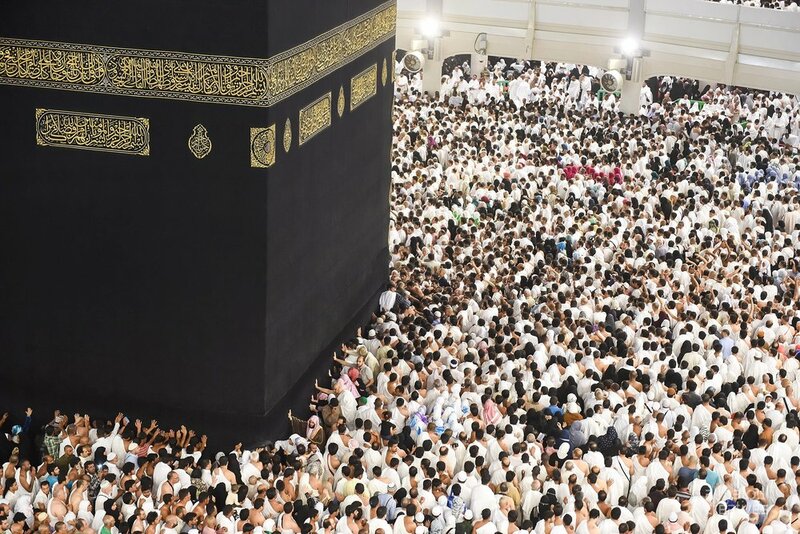 There is an unnerving mystical quality to the Ka’aba. There is this energy being caught in a non-stop circambulation, thousands in rhyme and chant, the feeling of a being in the midst of a controlled chaos. This was our second time visiting Mecca. 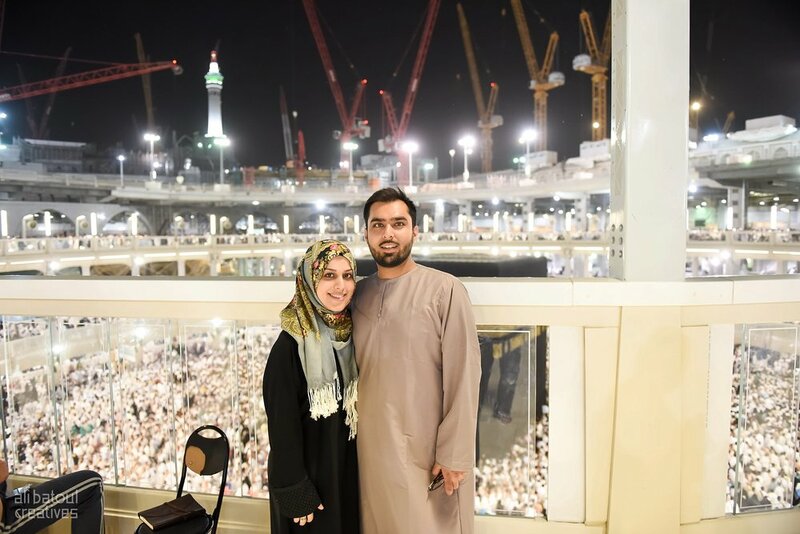 We first visited in 2011 to perform the Hajj, just a month after being married. Everything about that experience reflected a newness – from being together, to learning the rites and the exposure to the surreal environment of the holy cities. 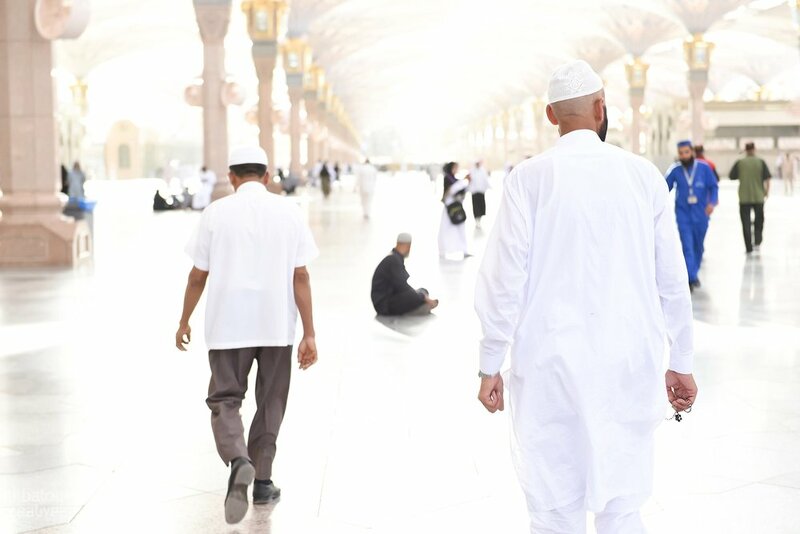 Hajj was deeply personal and spiritual journey, whose lessons remain imprinted on our thoughts and attitudes to this day. We recall almost daily some of the more memorable experiences and feelings from that time. Perhaps most important of them all, the sense that nothing appears as expected and often the challenge is finding sincerity and peace amidst chaos. Hajj, much like our ordinary life, has a habit of being beyond one’s control and an uninterrupted series of expectation defying events. Finding a way to overcome without being overwhelmed is not just a means but also an ends. While we don’t always succeed in living up to this wisdom, it remains a source of positive support and the perennial nostalgia of Hajj ensures that its close by. This trip was no less as incredible but vastly different. 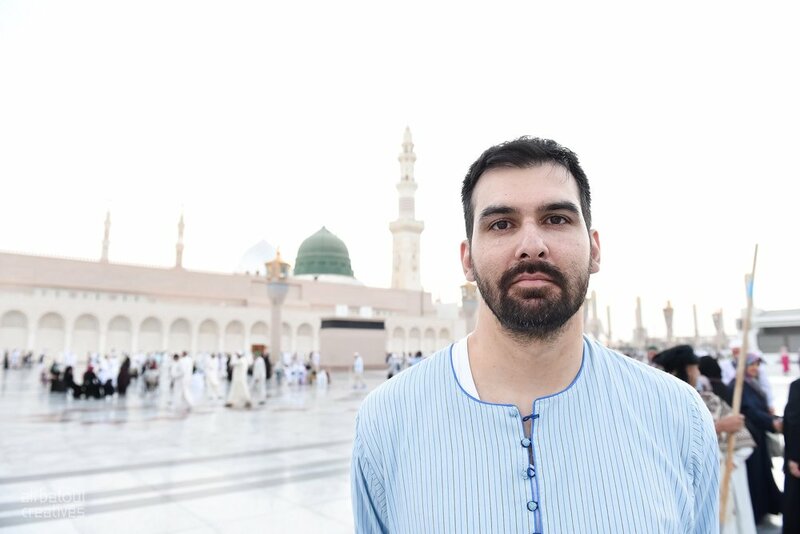 Now, we were performing the lesser pilgrimage or ‘Umrah and unlike our Hajj, were the focus was cultivating a very personal spiritual experience, now it was not about us. 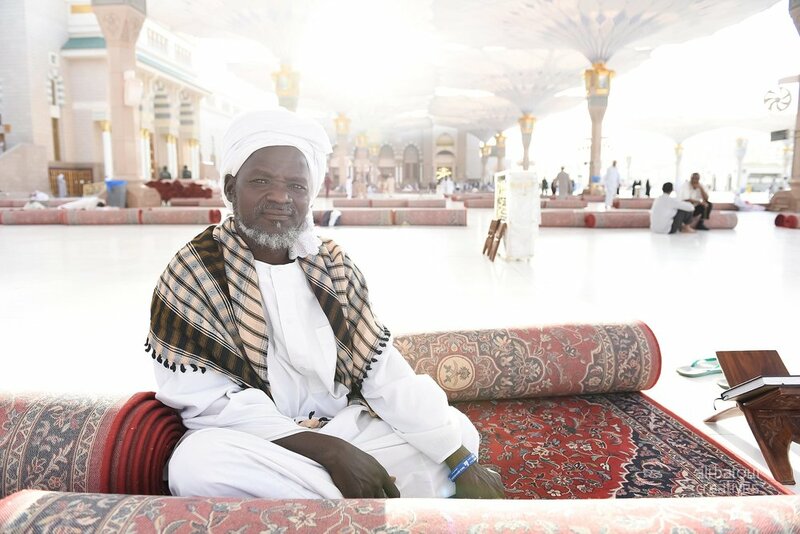 In Hajj, we joined a caravan of experienced Hujjaj who took care of all the logistics and preparation. 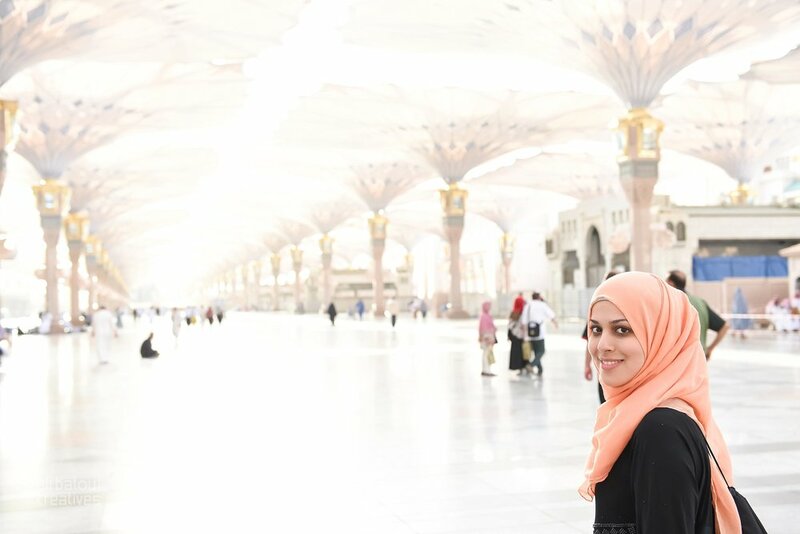 Now we took on that role and made this trip about being service – accompanying us was Ali’s mother, brother Salman, sister-in-law Isra and their (then almost) one-and-half year old daughter, Zahra (more affectionately known as Zaru). 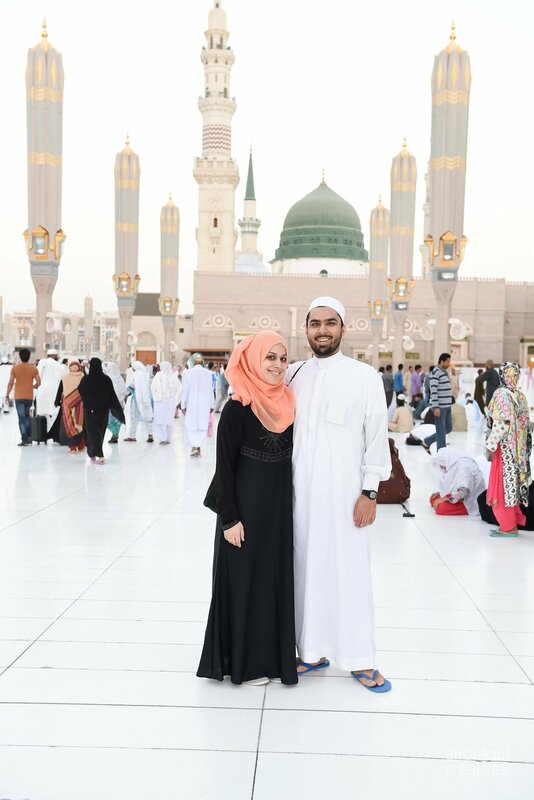 This was their first experience in Mecca and Medina and also, their first time travelling to the Middle East. We took it upon ourselves to organize the trip, develop the itinerary, arrange preparatory material and act as local guides and translators on the ground. 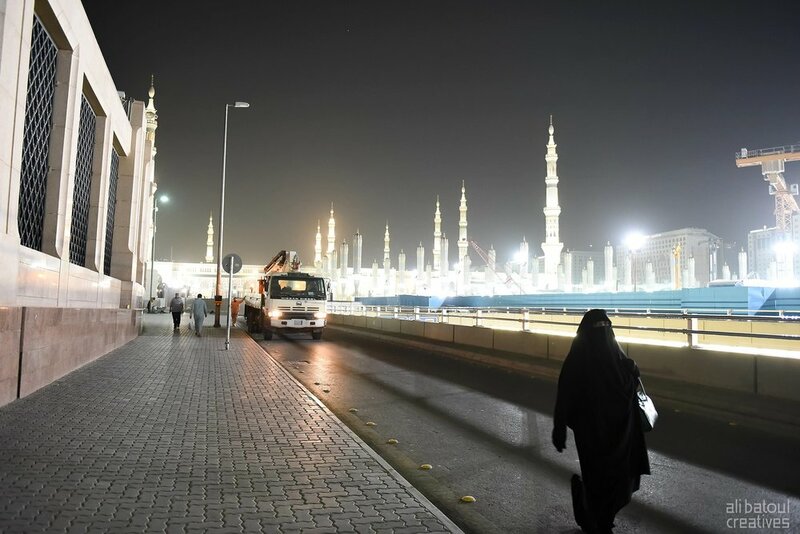 But the on the ground reality in Mecca and Medina is vastly different from what one might expect or at least, its virtually impossible to be entirely prepared for. It is densely packed, chaotic, hot and your surrounded by thousands of people from all over the world. 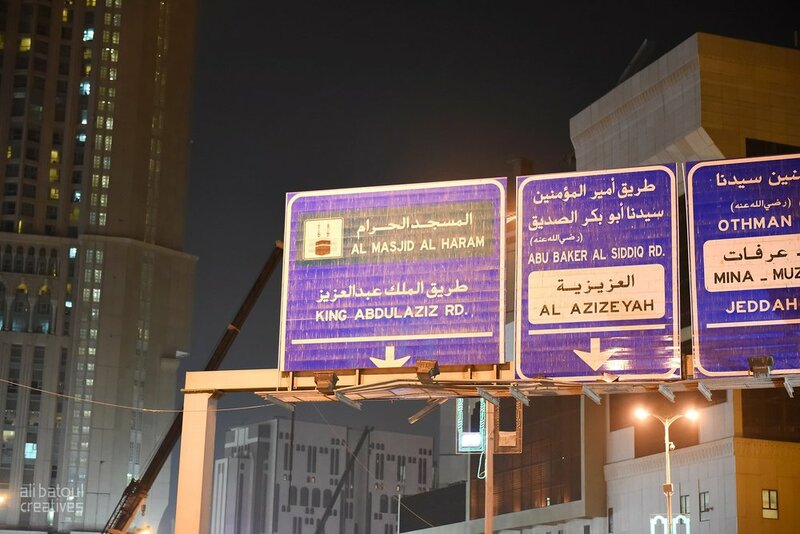 Add to this mix, a massive amount of construction in Mecca that significantly reduced the amount of space and left one operable gate for entrance and exit to the Haram. 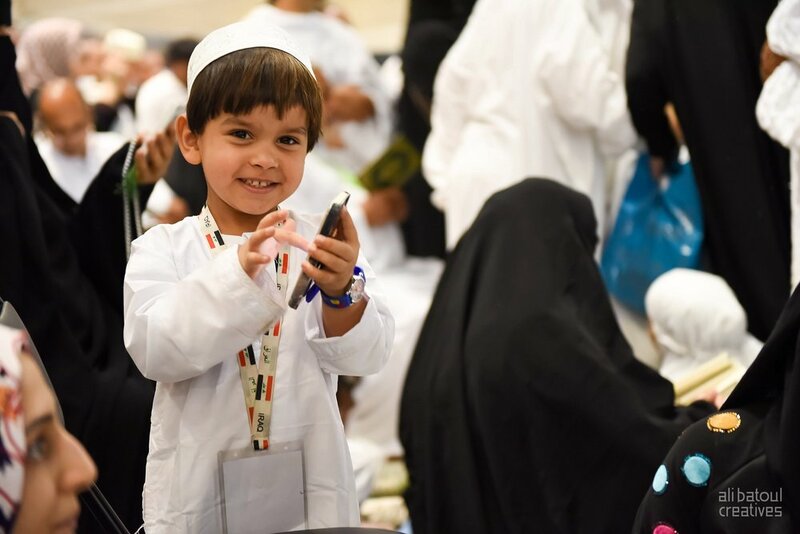 We were initially really concerned about how Salman and Isra would contend with bringing a budding toddler into the hustle and craze of Mecca and Medina while searching for their own spiritual balance. 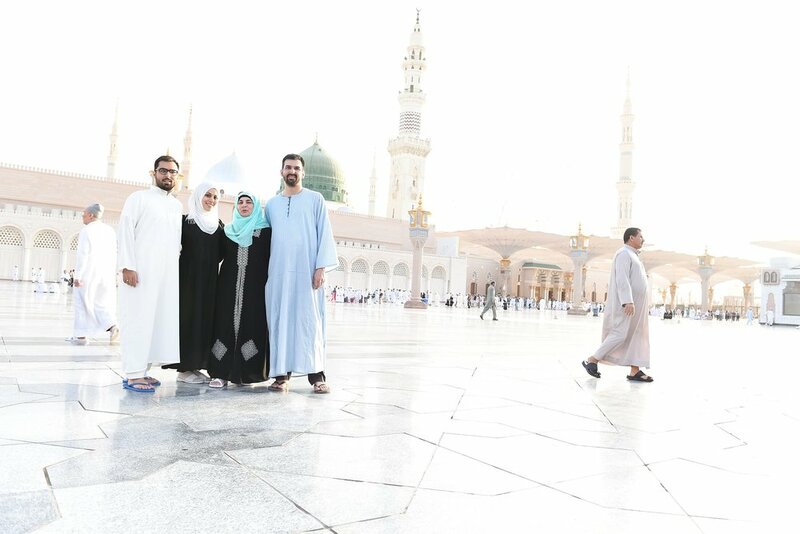 This was also their first opportunity to travel together as a couple and family outside of Canada, so in many ways this trip represented a lot of firsts for them as our Hajj trip did for us. But as it’s written: “You plan, and We Plan, and We are the Best of Planners.” We watched Salman and Isra play with Zaru in the courtyard of Masjid an-Nabawi, hold her through the circumambulation of the Ka’aba and laughing with her as they completed the walk between the ancient hills of Safa and Marwa. These are memories and experiences we will cherish for a lifetime and are eager to share with Zaru when she is able to understand and appreciate them. The greatest challenge and also the most rewarding experience was having Ali’s mother with us. As with Salman and Isra caring for Zaru, whatever concerns or fears we had about her coping were never to be realized. Her energy and enthusiasm allowed her to overcome the physical challenge – no matter what the task or effort, she did it all on her own will and power. It was truly a labour of love, and the result of a lifetime of patience and hardwork. To have her embrace the Ka’aba, hand-in-hand with us, was an indescribable pleasure and without doubt is and will forever be one of most celebrated memories in our lives. She barely slept throughout the entire trip, spending most her time engaged in worship and reflection but remained jovial and her normal joking-self. 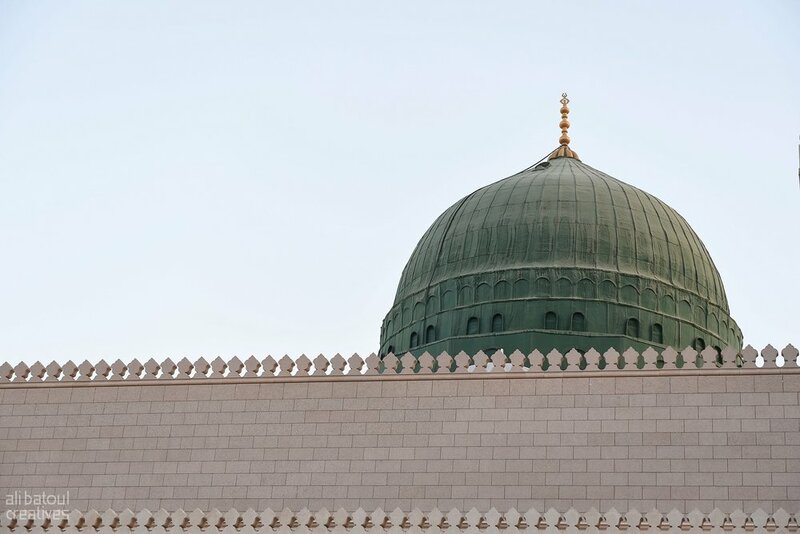 One particularly memorable (and funny) experience was when we attempted to take her to visit the Hajr al-Aswad, the infamous black stone that adorns a corner of Ka’aba. For those who have never been, know that getting close to the Hajr is akin to joining a rowdy mosh pick. My mom was definitely not prepared for the aggressive crowds swelling around the Hajr and the pushing and shoving. At one point we were stuck between some people who were trying to push their way closer, and as if to try to restore some order and balance into the situation, she began yelling out to people in a very desi-aunty type of way: “Vaiiiit! (Wait) Vaiiit! Please!” Naturally, no one availed of her request. 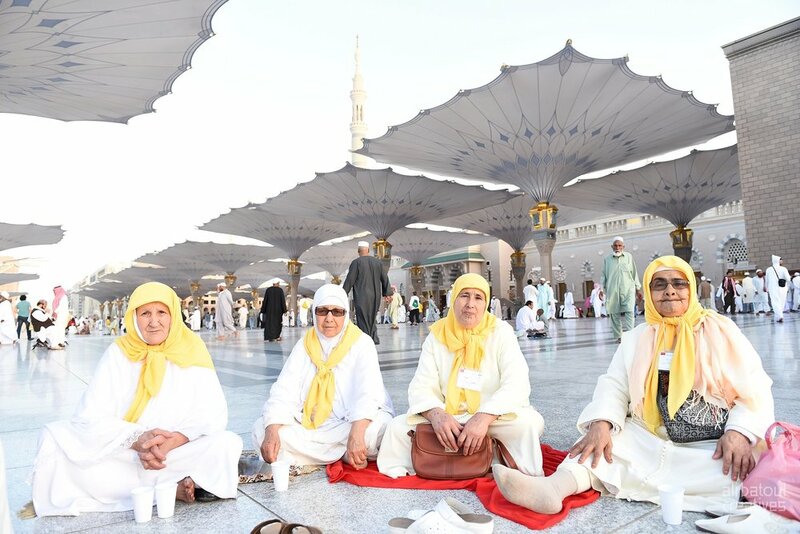 Despite that very minor set back, we prayed together in the Hijr Isma’il, had multiple opportunities to embrace the Ka’aba and spent time reflecting in the Rawtha in the Masjid an-Nabawi. It was the ultimate family trip, that bridged generations and filled our hearts with a closeness that can only be bound with a divine seal. 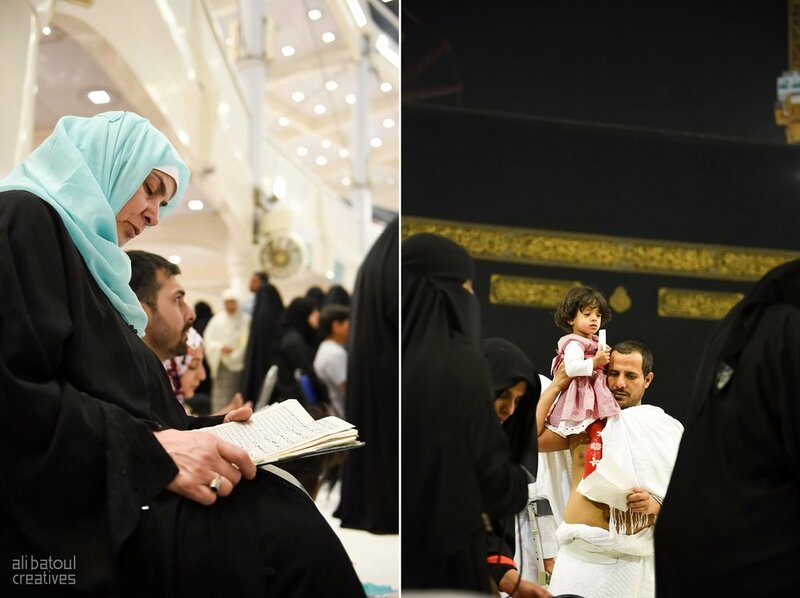 It started as a dream, to have the chance to bring my mother to the most sacred and holiest of places, to share that moment of exuberance and attachment when she first glanced at the Ka’aba, to be there to support in every way. I can think of no greater honour for myself. 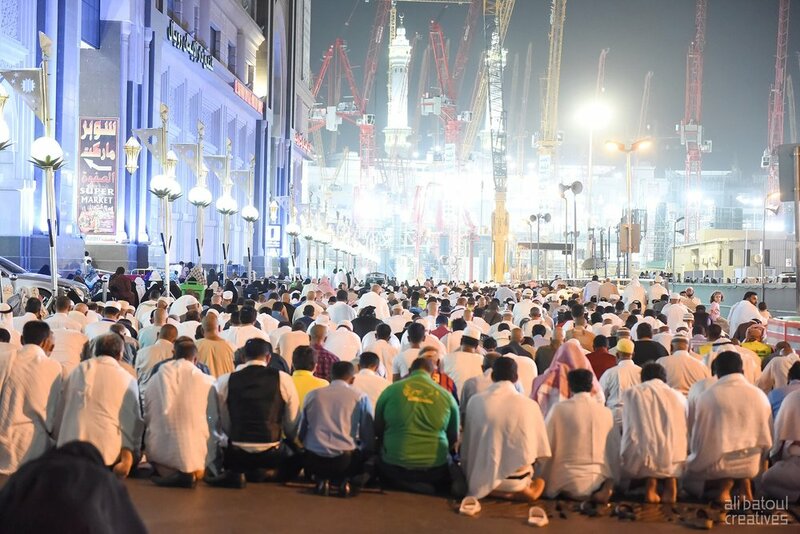 It was our final night at the Ka’aba. We spent the earlier part of evening completing a second ‘Umrah on behalf on our passed loved ones. 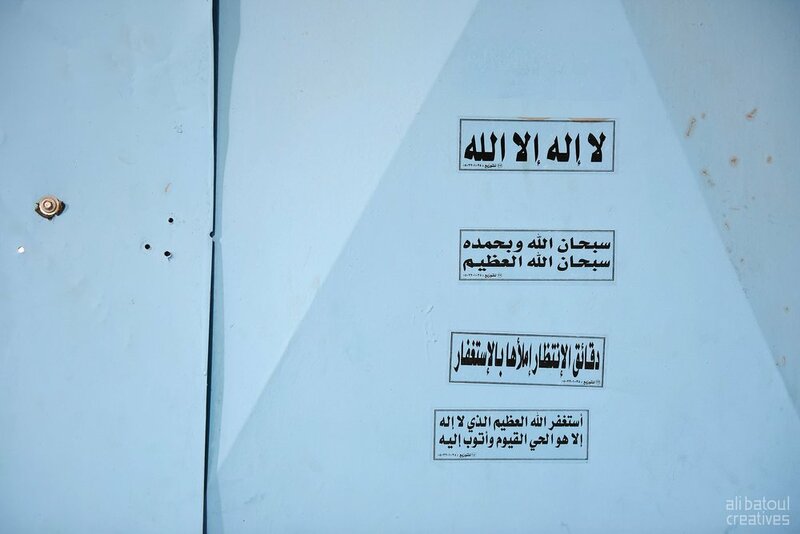 Emotions were running high, both in remembrance of those who have passed and our impending departure from Mecca. 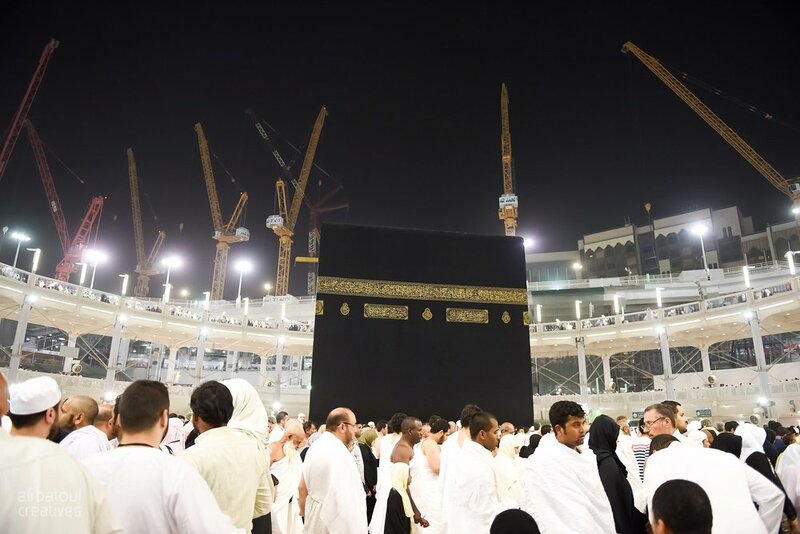 We spent that night, in reflection and prayer on the upper section of Haram, where one can actually look down towards the Ka’aba and see the throngs of people come circumambulating around it. There was a cool wind running through the air and the sound of rhythmic chanting and footsteps was coming and going. I imagined that this would be my final chance to be here in this most sacred of spaces. From that thought, it quickly evolved into a conversation with myself, the internal debates I’ve gone through and a reflection on the journey I am on, mindful of its detours, wrong turns and and successes. What became so clear to me in that moment was how insignificant and meaningless the burdens I felt I carried, the day-to-day struggles that weigh on me from time to time. 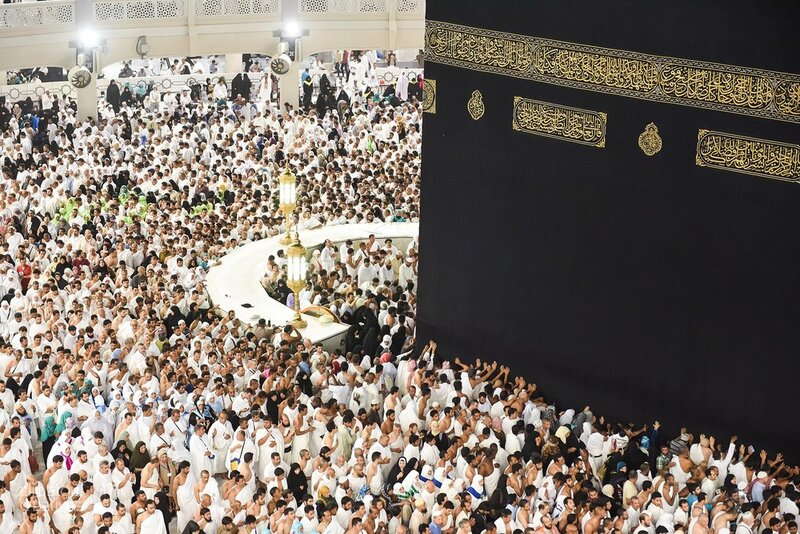 A timelessness and eternal quality pervades around the Ka’aba and it is infectious, pushing against the frailty of man-made calamities whether real or imagined that come in-between the caller and the Respondent. Suddenly, the call to prayer sounded for the dawn prayer. Hearts became calmer. The wind seemed to relinquish a little and the footsteps slowed, eventually stopping altogether. All you could see were the birds. Fluttering around this black cube and seemingly unencumbered by the daily spectacle unfolding before them. As the call to prayer ended, tired and needy, we all rose in unison, while the birds flew above. Together, men, women, young, old, white, black, rich, poor, the known and unknown, calling out – God is the greatest.